MOTIVATED SELLER!!!! This Beautiful 6 Bedroom, 3/2 Bath home is located in the Enclave of East Lake Woodlands. Resting against Booker Creek Nature Preserve and just across the beautifully designed North Golf Course, luscious landscaping surrounds this DREAM home. It's also just minutes from local beaches, shopping and entertainment. The moment you drive through the gate and walk through the door the feeling of home will set in. 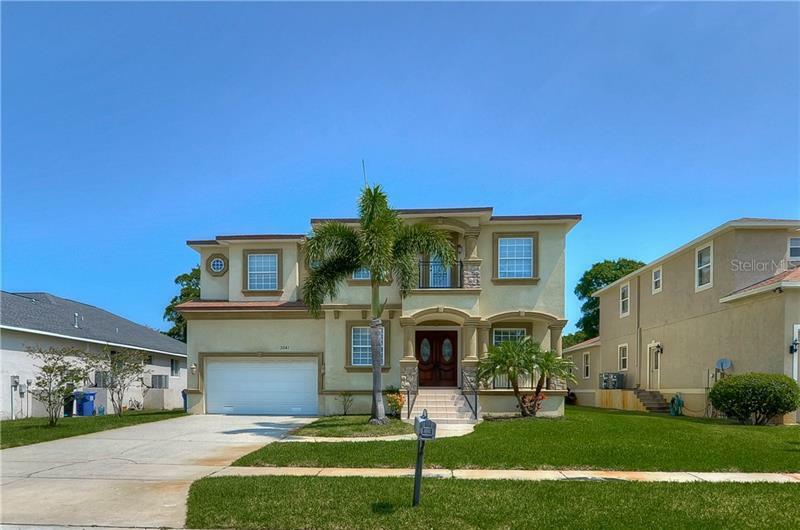 Features include a Large 3 Car Garage, Family/Game room, Great Room, the First Floor Master bedroom floor plan with beautiful Pool and Patio views are accompanied with the large Master Bath w Garden Tub. Not to mention the Open Kitchen filled w Stainless Steel appliances that's not only spaciousness but convenient which will be pleasing to the cook in your home. Don't forget to step out on the screened Lanai and enjoy you morning coffee with wooded views, but when the Florida sun comes calling, take a dip in the refreshing cool but heated pool that is sure to entertain for hours. So what are you waiting for? No matter Buying or Leasing....Call and set up your appointment today!